In today’s competitive business environment, the most critical and primary need of any organization is lower time-to-market and lower cost-to-market, without compromising quality. Companies are continuously challenged with evolving technologies, innovation cycles, product development re-engineering, manufacturing process optimization, and design costs. Our Product Engineering & Manufacturing team helps customers transform their vision into successful real-world products. Our product development strategies meet the evolving market demands while ensuring consumer choices, critical timelines, and budgets. Our cutting-edge Product Engineering Services include intensive research and analysis to identify the appropriate technologies to achieve the best performance while incurring a minimum cost. We take a studied approach towards cost, performance, feature trade-offs and additional factors, to help companies surmount the challenges of delivering high-quality, timely product engineering services to the marketplace. We have the ability to take up design and development at any stage of the product development life cycle such as defining, designing, verifying or realizing the product. Before we start product development, we ensure that acceptance criteria have been very clearly arrived at. We diligently follow up with our customers until we are certain what the customer would deem acceptable to meet product requirements and expectations. We believe that the basis for any business relationship is mutual trust. We have adopted the Agile Process in our product engineering model for faster design and development. Transparency with our customer is our key to success. Our commitment towards product development with excellent quality is manifested by our strong Quality Engineering methodologies. We have put in place a comprehensive system of Quality Engineering processes at every step, from product definition to product realization. We also help our customer transitioning the prototype to manufacturing and help customers with manufacturing services proving one stop for product engineering and manufacturing. VOLANSYS equips you with a wide spectrum of product engineering services for converting your ideas into actual products. Our team helps you brainstorm your product development ideas and select the best-suited technologies and processes for turning concepts into reality. 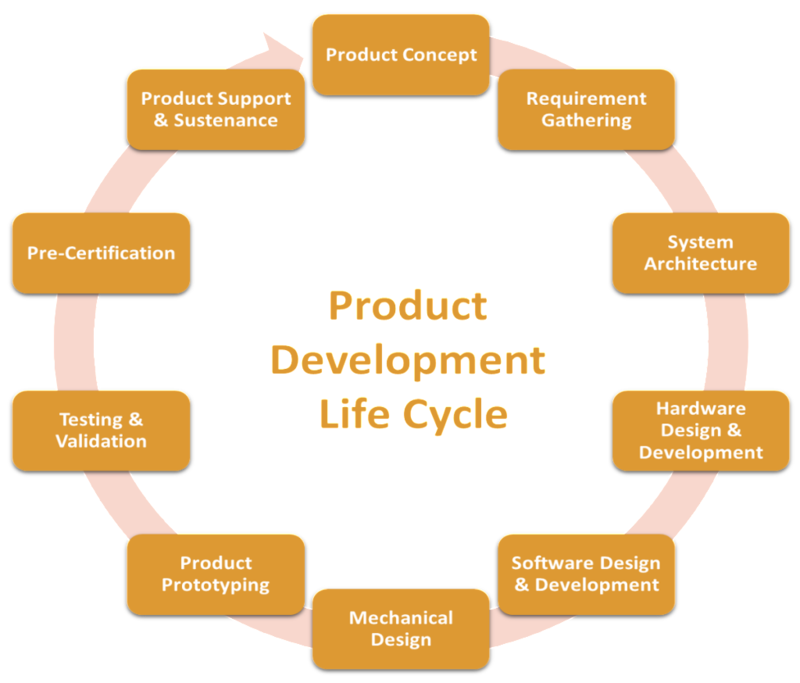 VOLANSYS helps in defining a comprehensive and complete product development plan. 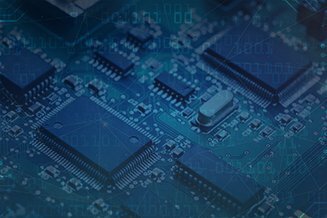 We have worked on Embedded CPUs and MCUs from NXP, TI, Marvell, Silicon Labs, Qualcomm, Broadcom, Microchip, Intel, ST Microelectronics, and many more. Our hardware design services spectrum includes multi-core multiprocessor hardware, small-form-factor boards, flex-rigid & flexible PCBs, reference platform design, low power wearable hardware and high-speed human display interface PCB design. 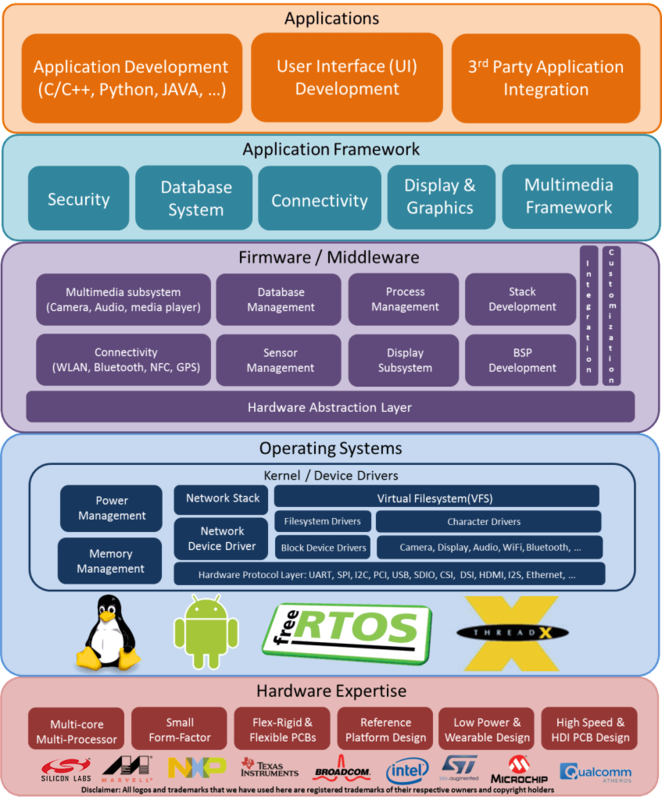 We possess extensive experience in user and kernel space development as shown in the diagram. Our core expertise includes Device and Network Driver Development, Power & Memory Management, Network Stack Modification, and Development. Our exposure to embedded software engineering includes BSP Development, Firmware Development, Display Subsystems, Sensor Management, Connectivity, Database Management, Process Management, Stack Development, System Integration, and Customization. We have profound capabilities in developing various application frameworks for Security, Database Systems, Connectivity, Display/Graphics and Multimedia. 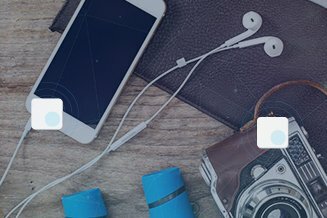 Along with that, we are proficient in application design and development, user interface design and development and 3rd third-party application integration for with existing applications. Want to convert your idea into reality? Micrium OS – Why It Should Be The First Choice For Building Connected Medical Devices?